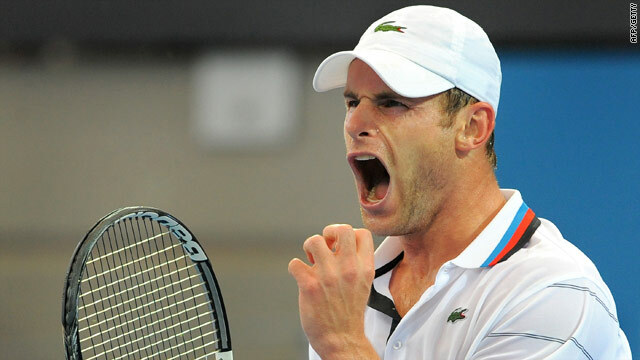 A pumped up Roddick showed he is running into form ahead of the Australian Open. (CNN) -- Top seed Andy Roddick beat defending champion Radek Stepanek in two tiebreak sets to claim the ATP tournament in Brisbane on Sunday. The big-serving American showed he has fully recovered from injuries which wrecked the end of his 2009 campaign with a 7-6 7-6 win over the Czech in two hours and five minutes. Roddick, who claimed the first breaker 7-2, led 5-1 in the second set before the resolute Stepanek broke back twice to force a second tiebreak. Roddick edged it 9-7 for his 28th ATP Tour title ahead of the season's first grand slam at the Australian Open in Melbourne on Monday week. "I certainly don't know if I expected to come and win my first tournament after a pretty extended lay-off," he told the official ATP Tour Web site. Stepanek was also pleased with his display in the second set which so nearly paid off. "I was able to come back from 1-5 down in the second set against a player such as Andy with a tremendous serve, to break him twice in a row," he said. "I was fighting until the last point, I never gave up." The final capped a top-class week at the Brisbane International tournament with Belgian pair Kim Clijsters and Justine Henin contesting a thrilling women's final on Saturday. Clijsters prevailed 7-6 in the deciding set against former world number one Henin, who was returning to the WTA Tour after an 20-month layoff, but also sustained a leg injury which will force her out of this week's Sydney International event. Meanwhile, in Sunday's other ATP Tour final action, Marin Cilic of Croatia retained the ATP Chennai Open title as he beat Stanislas Wawrinka of Switzerland in two tiebreak sets. World number 14 Cilic had lost all four previous meetings against Wawrinka, but outlasted him in two hours and 40 minutes to leave him in good heart ahead of Melbourne.